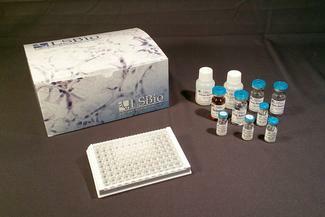 LS-F13024 is a 96-well enzyme-linked immunosorbent assay (ELISA) for the Quantitative detection of Rat TG / Thyroglobulin in samples of Plasma and Serum. It is based upon a Sandwich assay principle and can be used to detect levels of TG / Thyroglobulin as low as 15.6 picograms per milliliter. Recognizes rat Tg. No significant cross-reactivity or interference was observed.